Out of 191 economies in the world, India ranks 134. To establish a business you have to build a great team, create a different product, do amazing marketing and make a social media presence. Is it this simple? You cannot expect this to happen at the initial stage. According to Bloomberg eight out of ten entrepreneurs who start businesses fail within the first months. Failures are inevitable as an entrepreneur. According to Henry Ford, Failure is simply the opportunity to begin again, this time more intelligently. So keep this in your mind. Never give up, take the example of Colonel David Sanders, the founder of KFC. He faced rejection a number of times. And after a lot of struggle, he did it. The takeaway from his life is a mindset, eager to learn and change, dedication and hard-work. This will definitely help you in such situations. You must be optimistic. Great things take time, so be patient and read some inspiring stories. This time, you know the mistakes and also how the market works. So, before starting this time have a clear vision of your expections and what do you want. What outcomes you want from your business and where do you see your company in the coming years. Set your objectives and goals. Your vision can be a long-term or a short-term plan but the important thing is how you will achieve it. Learn from your mistakes. Never refuse to acknowledge that you have failed on failing. 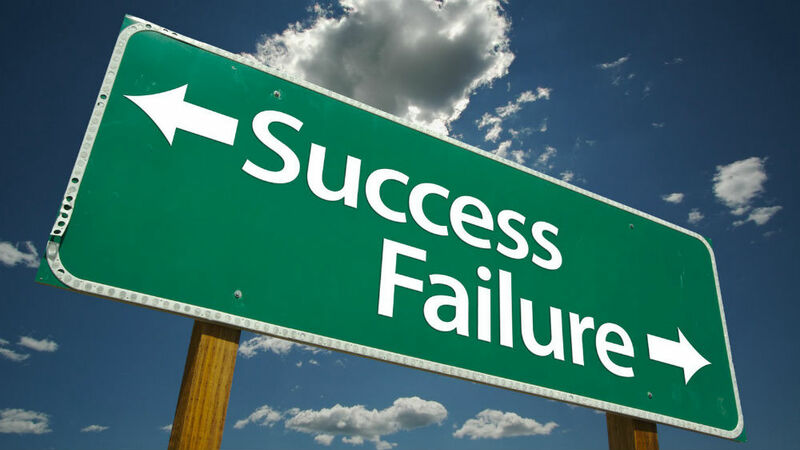 Failure is just a stepping stone towards your successful career. I have missed more than 9000 shots in my career. I have lost almost 300 games. 26 times I have trusted to take the game-winning shot and missed. I have failed over and over again in my life. And that is why I succeed. Said Michael Jordon. It is important because some of the failure experiences will take you to the right path. Never doubt your abilities. Look at failure as a life-lesson. Life always comes with some problems or others. Believe that you can overcome this obstacle. Be with people who have a positive attitude and who are ready to support you. Never ever think of giving up on yourself as well as on your dreams. Dont keep anything inside you. Let go of your emotions. If you want you can cry out loud and dont feel bad about it. It is just a phase and, This too shall pass. Allow your emotion to flow and this phase of your life will be one of the most memorable phases. Read success stories of people. This can inspire and motivate you. Steve Jobs said, I am convinced that, about half of what separates the successful from unsuccessful is pure perseverance. Imagine, what would have happened to Apple if he had given up? There are many entrepreneurs and business owners to learn from, and use your failure for improvement and to achieve your goals.